You don’t need fancy VR sets to enjoy EVE Online. 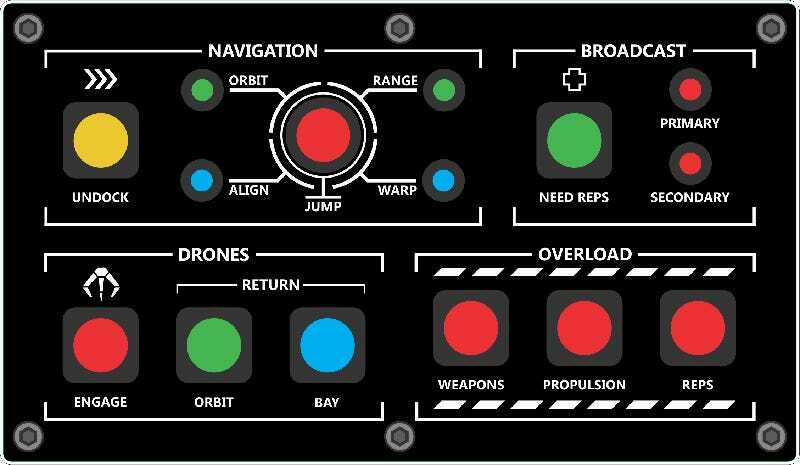 You only need a an additional spaceship-themed control panel, like this massive box, made by Hijel. It has a bunch of important hotkeys, which are set to these buttons, to make things immersive and easier. Well, much better than a few extra hotkeys on a generic keyboard, that’s for sure! And it’s no surprise something like this was made by an EVE player (I don’t see the log off button on that box!). The game has one of the most dedicated community out there.